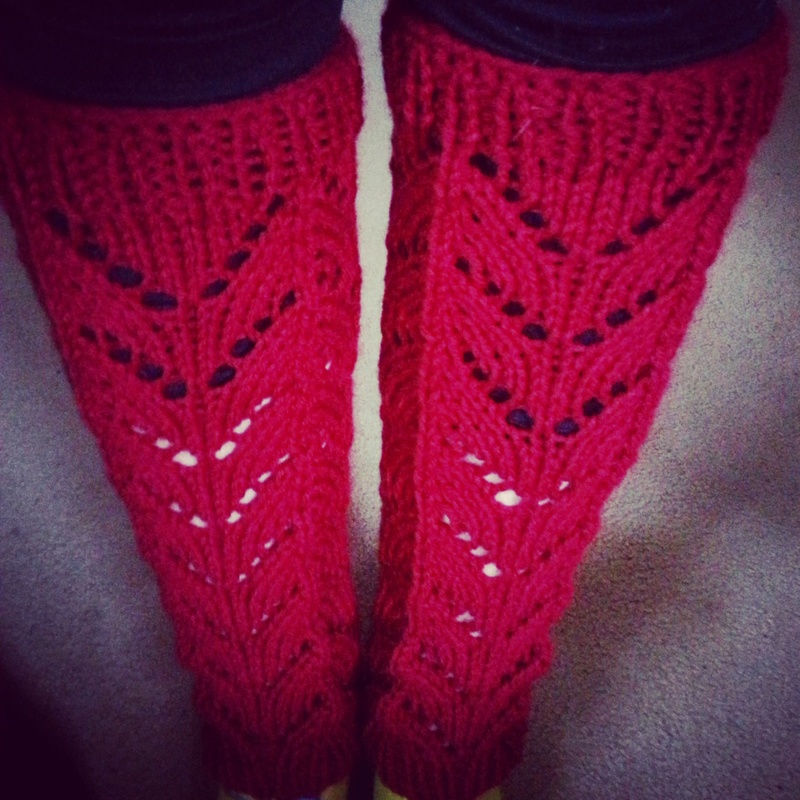 My knit pattern for lace boot toppers! 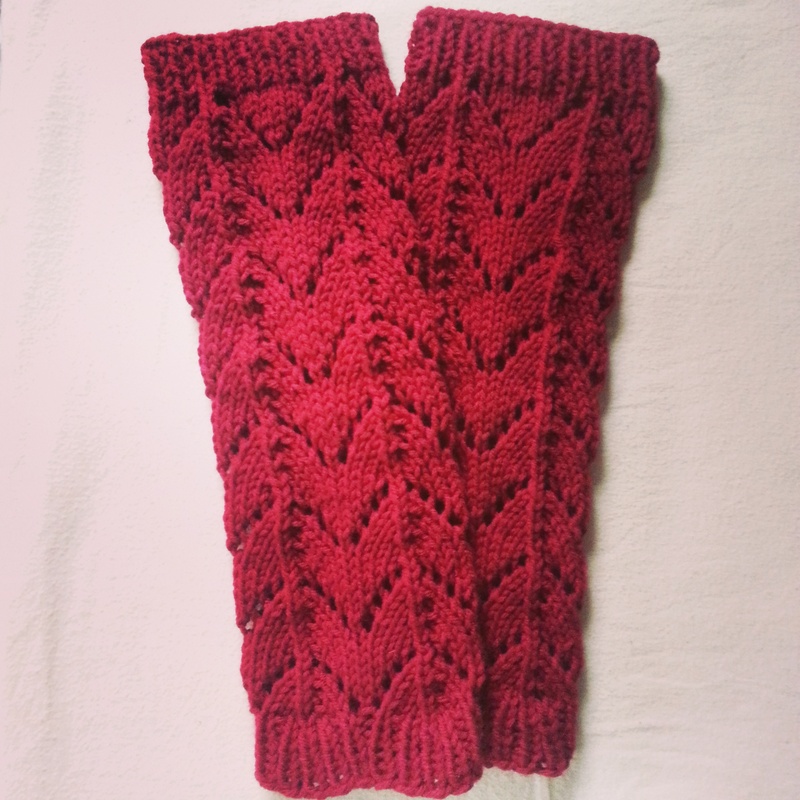 I love this lace design I decided to knit the length for leg warmers – I know lace isn’t very practical for warmth but they look great under boots! Pattern Notes: The number of stitches in this pattern can be adjusted in multiples of 10. Rib and lace sections can be knit for any amount of rounds for desired look. If you are working on straight needles the horseshoe lace pattern can be found HERE. Below is the video tutorial to see the pattern in action! I have been looking for this lace pattern for quite sometime but never knew what it was called! I’m really happy with the look of these 🙂 Leg warmers look great with boots and over leggings/ yoga pants, I’m a little obsessed. Places you can find me on the web-> LINKS HERE <- Send me pictures of finished projects or any requests you may have! Posted in Knitting Patterns, Video TutorialsTagged free knit pattern, free pattern, knit lace, knit leg warmers, knit pattern, knitting, lace leg warmers, lace pattern, leg warmersBookmark the permalink. 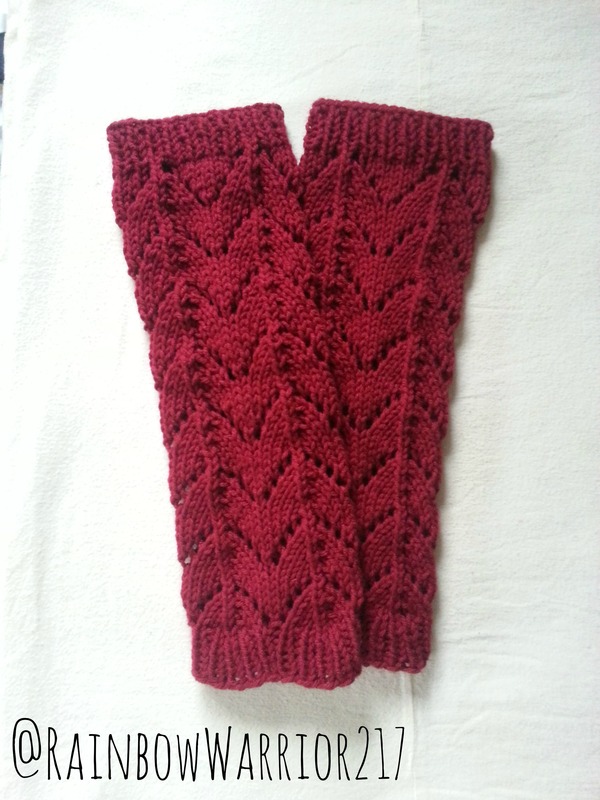 The link to knitting the horseshoe lace leg warmers on straight needles is not available on the “HERE” link. Where can I get it? could you do k2 p2 ribbing on this too? or no? I really enjoyed watching your video tutorial. I am new to knitting and have a question about how you wrap your yarn for the knit stitches when you get to the lace repeat. It seems as if you wrap in the opposite direction around the needle for the knit stitches, is this because of the yarn over or am I just thinking about it too much? I watched another video tutorial of yours and you wrap the knit stitches around the back of the needle to the front counter clockwise like I am used to. Does this make sense? Just trying to learn the best way to do things. I appreciate any feedback you have. Thanks for all of your great patterns and videos. Yes I wrap the yarn in the opposite direction for what is called the “yarn over” in the lace pattern. Another way I like to think of it is you move your yarn in front of your needles as if to purl and then you knit instead. This will create the yarn to drape over your needle and is what creates the lace in your pattern. Let me know if you still have questions! I learned to knit from my grandma when I was probably 7-10 years old. However, I don’t do it often, and usually avoid “complicated looking” projects. Which is why I really liked your tutorial, because it made me realize some patterns look more daunting than they actually are! Is it possible to alter the pattern to fit a toddler (18 month old)? If so, could you give some advice in that department?